We all know Spain is a very unique destination. Part of its charm lies in the geographic diversity of its landscapes. Throughout the country, you will find beaches and mountains, big forests, and desertic areas. There are superb castles scattered all over the national territory, whose walls have witnessed important kings, queens, and centuries of history go by. However, there is something else not everyone knows: Spain is home to many filming locations in Game of Thrones. Now that the 8th and final season of this popular TV show is approaching, we invite you to revisit some of them. Join us in this fantastic route and discover the most legendary spots in Spain! Click here if you want to read this article in Spanish. 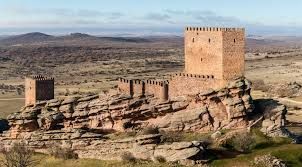 A big tower located at the foot of Dorne’s Red Mountains, an epic battle in the Tower of Joy, a story that would change the course of events in the series… All this took place in the Castillo de Zafra, in Guadalajara. 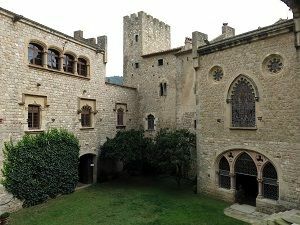 Halfway between Madrid and Valencia, you can visit this castle and step on the same stones as the production’s protagonists. The palace of Dorne’s popular capital is inhabited by the Martell family. It is in the southernmost kingdom and the warmest one in this universe. With these characteristics, it could not be located anywhere else than in Seville. 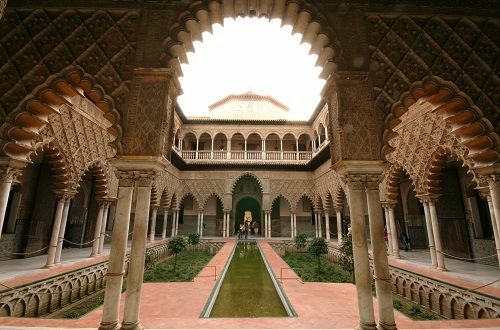 The Real Alcázar, with its gardens and luxurious halls, has delighted millions of viewers all around the world. 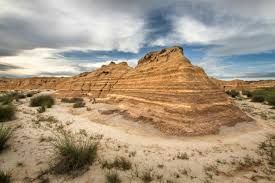 Daenerys, the Dothraki people, dragons, a large entourage… All of them find themselves walking in the Natural Park of Bardenas Reales, in Navarra. This spot happens to be the perfect place to set the most popular dragons on TV free and watch them fly. Do you remember the Tarly House, in Horn Hill? These slopes under the Red Mountains are actually in spectacular Barcelona. The second largest city in Spain is home to the house where Samwell Tarly was born. In the arena of this location, a death battle among warriors takes place. Somewhere in the crowd, Daenerys watches everything from her seat. 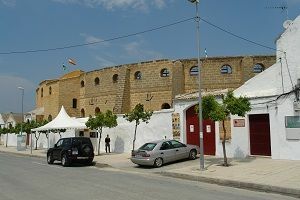 The typical bullfighting ring in Osuna happened to be the best place to shoot this scene. You will feel like a champion when you step out onto the sand! The sixth season of the series shows Tyrion, Missandei, and Grey Worm walking in the streets of Meereen. Well, guess what? 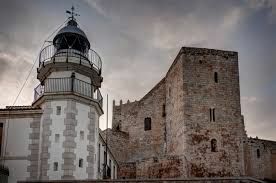 Those cobblestone streets and breathtaking castle are part of the Castillo de Peñíscola, a charming place that remains authentic centuries after its construction. Dragonstone is the title of the first episode in the 7th season. Even though the Targaryen’s fortress is located in the faraway Westeros, it is actually closer than you might think: in the Basque Country. 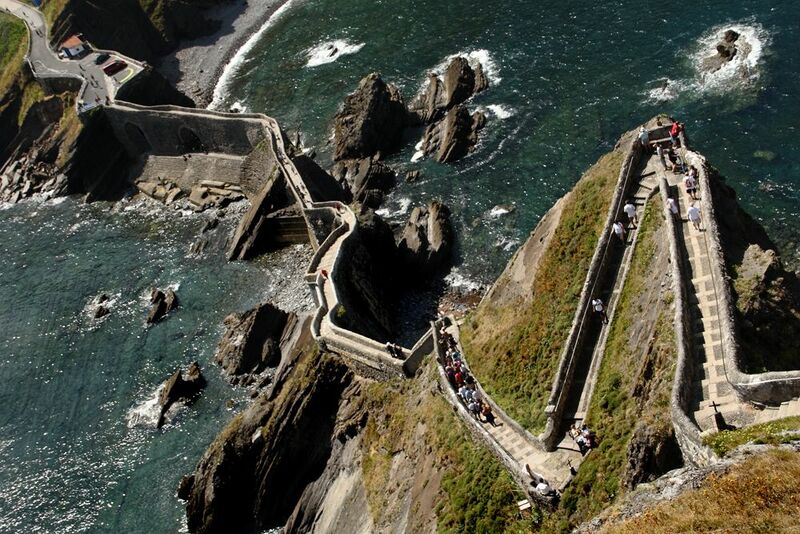 The popular stone staircase that leads to San Juan de Gaztelugatxe’s chapel has already gone down in TV history. These are just some of the many Spanish spots that appear in Game of Thrones. Girona, Almeria, and Caceres have also seen the film set work in their streets. 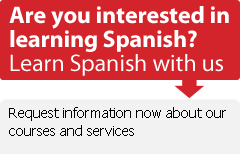 Now that you know where to begin, we invite you to discover the geography of Spain through the scenery of one of the world's most popular TV show in recent times.